Home Training has never been so easy. 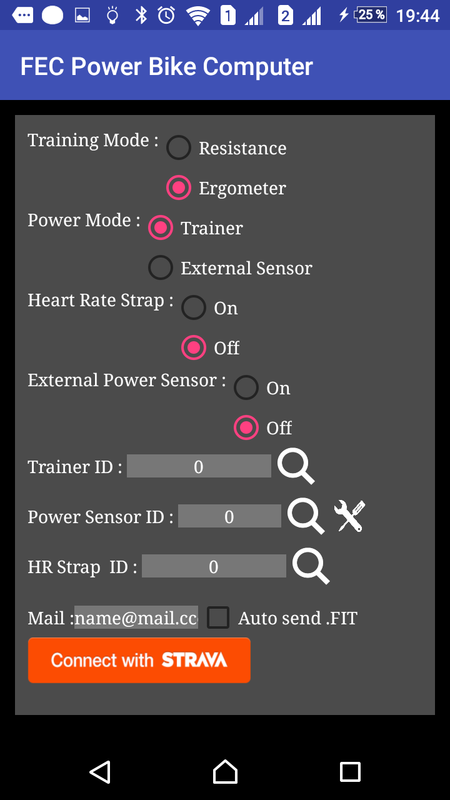 Connect your phone to your FE-C home trainer, and optionally your external power sensor and heart rate strap. All you need is an ANT+ Android phone as a head unit and an ANT+ powermeter and / or FE-C compatible home trainer. You can see the list of compatible trainers and phones. If you need more information about ANT+ compatibility and smartphones, see specific web page on This Is Ant. Go to trainer configuration and click on  icon and start pedalling. 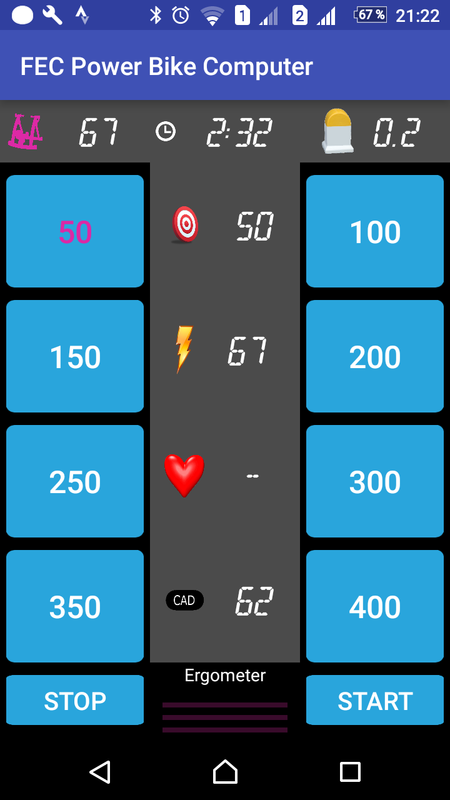 Click on the trainer you want to connect to in the opened window. 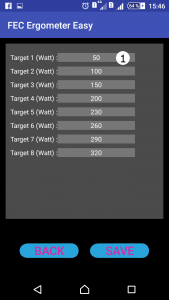 Pre-configure your favorite power targets. Workout file is automatically created on your phone and sent at your mail address or uploaded directly on Strava.